Dat is currently co-heading the data team at idealo.de, where he leads a team of data scientists and data engineers. His focus is to turn idealo into a machine learning powerhouse. 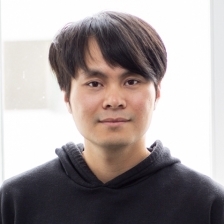 His research interests are diverse from traditional machine learning to deep learning. Previously, he worked for Pivotal Labs and Accenture. He is a regular speaker and has presented at PyData and Cloud Foundry Summit. He also blogs about his work on Medium. His background is in Operations Research and Econometrics. Dat received his MSc in Economics from Humboldt University of Berlin.